Local ‘red stone’ used in Ankit and Akshay’s new house. A house in Ukshi, Rutuja’s grandfather’s village. The participants in our study on Mumbai’s relationship to the Konkan region are Sidhi Jadhav, Rutuja Jadhav, Prajwal Kamble, (from Naigaon) and Akshay and Ankit Takle (Bhandup), all of them in their teens. 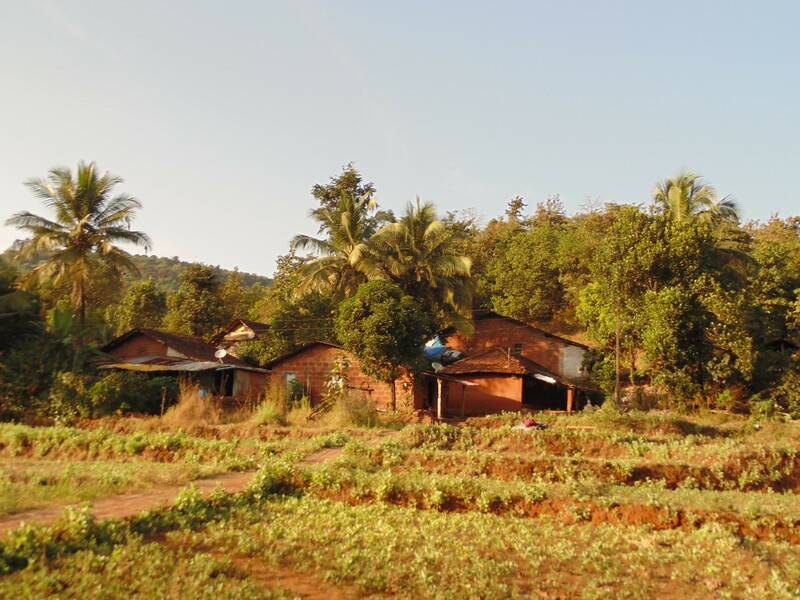 Their families come from different villages in the Konkan region, primarily the district of Ratnagiri. They gave us interesting insights on mobility and urbanism with their continuous travel between Mumbai and their villages. Being second- or third-generation migrants, they have unique experiences of their own, as well as memories inherited from their families. Our workshop with them was a chance to meet collectively and discuss aspects of the study together. While they have all grown up entirely in Mumbai, they make frequent trips to their villages in the Konkan region. They largely expressed a sort of nostalgia for idyllic rural life. Sidhi and her cousin Prajwal said that village houses should be made of mud, not brick, and that the village should not become “too modern”, or “like the city”, where the landscape is destroyed and the environment becomes crowded and polluted. Akshay and Ankit’s father, Mr. Takle, is currently constructing a house in their village, Somgiri. 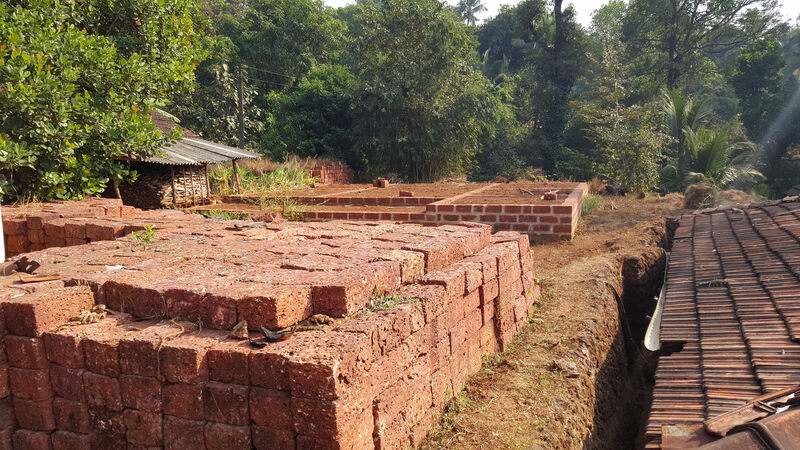 Though a contractor himself, he is not an expert in laterite, the local stone of the village, and has hired a local contractor because he specifically wants his house made of traditional Konkan village house materials. 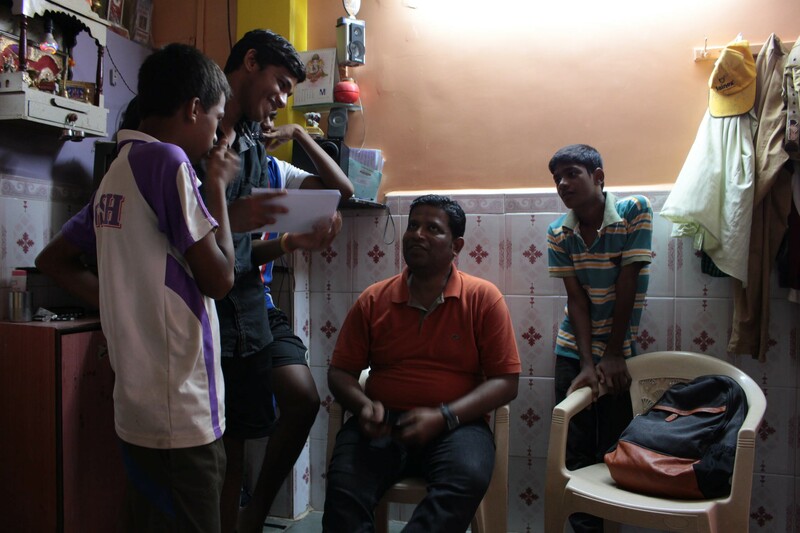 Akshay and Prajwal said that they would move to the village if they were able to get good jobs there. Regardless of – or perhaps because of – the constant movement, the village still informs their identity. They also asserted that such alternatives to the city are important to the growth story of India. Against a backdrop of expanding transport systems and increased mobility, towns are becoming more relevant economic centers to villages, placing them in a highly networked sytem of typologies. There is a man in Rutuja’s village who works as a teacher in Ratnagiri – though he has family in Mumbai. His daily commute is mainly between his village Ukshi, and the city of Ratnagiri. This lateral economic growth can become a very relevant pattern in the Konkan region. At the same time, being Mumbai-bred, the participants also expressed expectations of the village that are characteristic of city-dwellers. They said an ideal village would be one with urban facilities – basically electricity, water supply, mobile reception, and medical facilities. Though the main reason families initially migrated to the cities was for employment, no one said they would prefer working in the village or that an ideal village would be one with plenty of employment opportunities: a village where you can live all year-round. “We go to the village for a change,” Rutuja informed us, “If we are in the village all the time, what change will we have?” In some ways, this is now the purpose of the village in their imagination. Their situations show an interesting changing relationship with the village. While they continue to have expectations like their parents and grandparents, many of them, as well as their friends, do not exclusively associate travelling to the village as a trip back to one’s hometown to see family. It is as much a holiday trip, taken solely for recreation. Some of their friends, who don’t have family villages of their own, regularly accompany them on their summer trips. Our discussion seemed to indicate that there are many things that are expected out of all of the various homes that people have. To transfer all of these expectations to one fixed geographical space is unnecessary and unrelatable given their situation. This group represents a significant section of the population in Mumbai which has invested in the village, not just financially but socially and emotionally.